Double sided blanket printing means double the fun and double the chance to show off your unique designs. Two layers of 285gsm polar fleece are hand stitched together, creating a super thick and snug blanket to cuddle up to. Be creative and print contrasting designs on each side, giving you essentially 2 blankets in 1, or for a personal touch, write a message on the reverse to surprise your recipient. Get 2 blankets in 1 with double sided blanket printing, a stunning way to show off your photos and designs. Made from double thick fleece, this double sided blanket is a gorgeous gift for loved ones, letting them wrap themselves up in happy memories. Thanks to over 13 years of experience, we can offer a long-lasting, fade resistant print, preserving your photos for a lifetime. Choose from four sizes in landscape or portrait and enjoy the feeling as you cuddle up against the sumptuous, warm fleece, printed on both sides with your designs. Fantastic service, very quick turn around. Absolutely impressed with quality of the blanket, the print is second to none and delivery was very fast. Very easy to create exactly what you want, very happy with everything. The process was really simple from design to delivery. Excellent quality product and fantastic turnaround. Thank you, I am delighted! Super good quality, fast delivery and exceeded my expectations. Design 3 blankets for the price of 2 and treat your friends and family to a bespoke gift. Each one can be designed individually to feature different photos, just make sure there's 3 blankets in your basket and the discount will automatically be applied. Two layers of printed 285gsm fleece are handstitched together to create an incredibly thick and warming blanket. Handmade to order in our studios, the finish is sublime with a high definition photo print reproduction and flawless stitching details. The specialist printing process creates a strong bond between the ink and fabric fibres, so you can rest assured your designs won't peel away or scratch off. 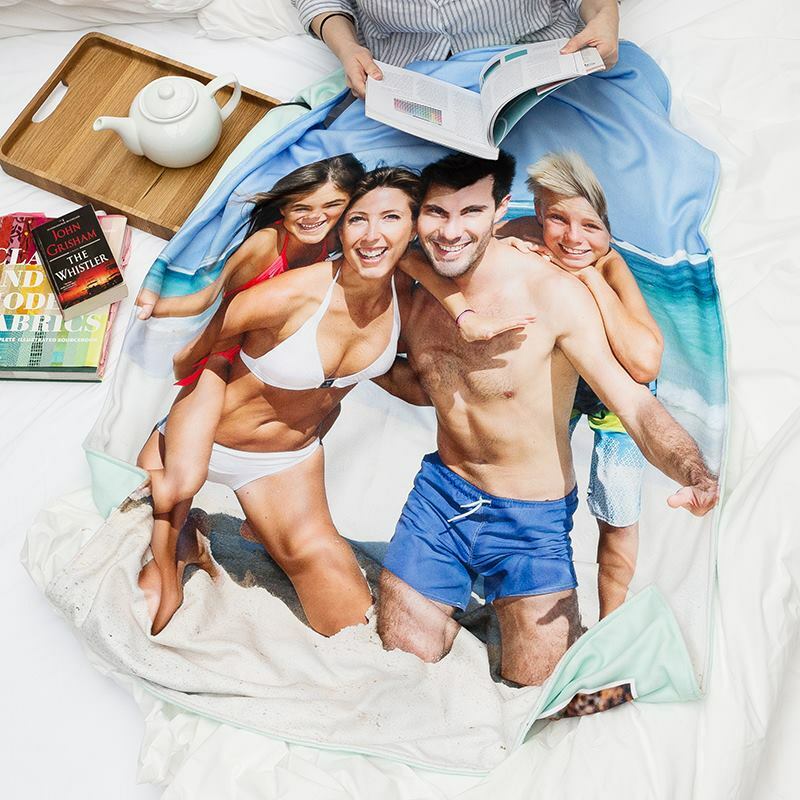 For an alternative way to propose to your loved one, you could surprise them with a blanket that features a heart photo collage on the front and the all important question on the back. Leave it to them to discover the question and watch as their face lights up. Interior design enthusiasts will love a double layer blanket that lets them decorate several rooms with one furnishing. Whatever their style is, you can upload two very distinctive designs on the front and perfect, perfect for switching things up in an instant.